I loved this episode of Turning Lemons Into Lemonade with Lauren Sprinkle! I know Laura through Todd Herman’s 90 Day Basecamp. At the time of recording, Laura was just finishing a HUGE launch with Selena Soo’s Impacting Millions! Selena’s Impacting Millions has been one of my very best investments in my business – and is so powerful for anyone who really wants to increase their visibility in their business! Laura had just served as the Affiliate Manager during the launch, and had done SUCH an amazing job! We talked about how Laura got started in her entrepreneurial life. She hadn’t necessarily planned on being an entrepreneur, but knew that a life in a cubicle just wasn’t for her. After a few years of traveling, teaching English, and holding different positions, she was diagnosed with a health issue that needed her to slow down a bit and take control of her health. She trained to be a health coach, and eventually realized that she really enjoyed the marketing side more than really being a health coach. Laura described one of the KEY struggles of being a freelancer. We’re often so busy delivering service, that the marketing arm of our own business take a back seat – leading to an element of feast and famine. At one point in her business a few years ago, she thought she had “made it” and was doing a lot of client work, but when a bunch of projects were nearing completion, she realized she didn’t have enough in the pipeline. She talked about how hard it is to admit to everyone when your business is struggling. She had to force herself to ask for help – and texted a few of her friends in town letting them know she was looking for a job! Ultimately, she took a part time job at Whole Foods (three whole shifts) and got some freelance work – and focused on building back her business! 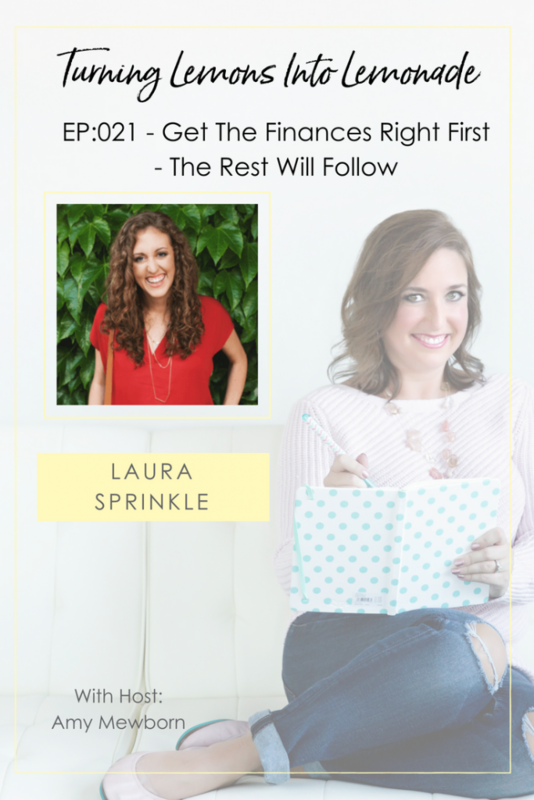 She said she learned a valuable lesson and Laura dropped some REAL value bombs at the end of this episode – both about finances and some of the true secrets of a successful seven figure launch. To hear more from Laura – listen to the episode here! You can find out more about Laura, her services, and her program Launch Rebellion here!